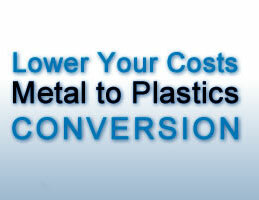 Switching from metal to plastic. It’s really not if, but when – Pittsfield Plastics Engineering, Inc. Since the 1930s, savvy manufacturers and designers have been driving a technical explosion in plastics, and today there are over 30 product families and literally thousands of individual grades, from the familiar to the exotic. Much of this growth has come with the large-scale switch from metal to plastics, and with good reason. But switching from metal to plastic should be done with care. With all its advantages, plastic may not be the best choice. What this all means is that switching from metal to plastic should start with an in-depth analysis of what the product is designed to do. Simply replacing a metal part with an identical plastic part fails to take advantage of plastic’s enormous versatility. Think in terms of possibilities. Ask the right questions. Measure the costs and benefits. Chances are, you’ll make the switch.